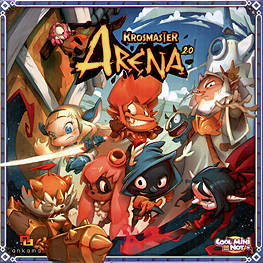 Krosmaster Arena is a tactical 2 or 4-player game in which players take control of teams of warriors from the Krosmoz (DOFUS and WAKFU's Universe). Players will take part in turn-based battles, developing strategies to surprise their enemies and making the most of various bonuses as they fight their way to victory! Want to become the master of the Krosmos? Here's our advice: Choose your weapons, train hard and get ready for battle... because everyone is going for gold in Kormaster Arena!